Jo’s Java was started many years ago by Bonnie Cole. She and her husband, Deloy Cole, used to live in California, where coffee shops were at every corner. When her husband got a job at Greenville College, Cole explored the town in search of a coffee shop. The closest one she found was a Moto Mart. Unfortunately, that didn’t fulfill Cole’s love for coffee, so she decided to open one herself. Sign at Jo’s. Source: Reaghan Lesh. She was presented with a blueprint of a building from the president of the college, that could potentially have a coffee shop in it. Ideas of having different investors had come up, but Cole wanted to use her own ideas for the coffee shop. Of course, Cole and her supportive husband took the opportunity to invest in it. 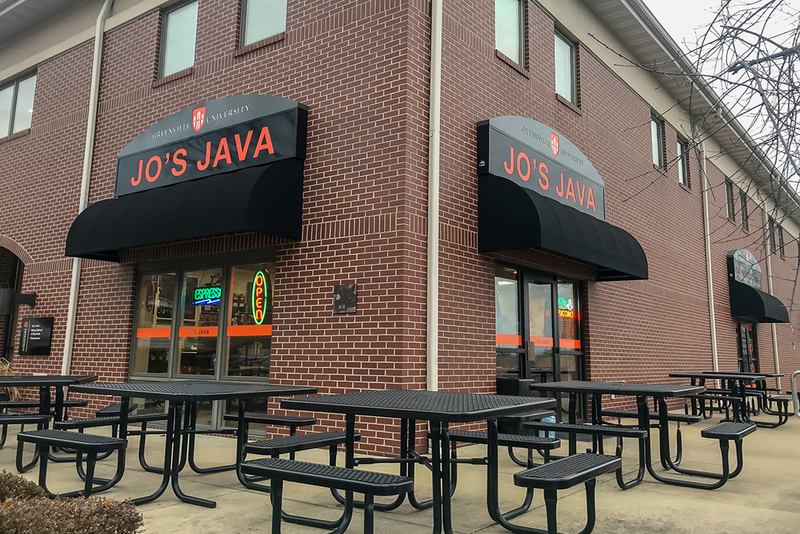 As years have gone by, Jo’s Java has become a comfortable and warm environment for college students and the community to sit and drink coffee. 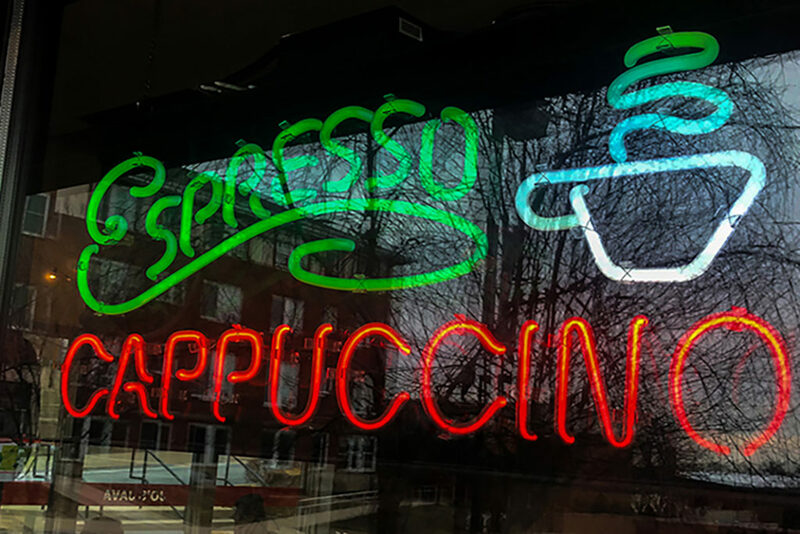 “It’s an upscale looking coffee shop with reasonable prices, I try to use quality and healthy ingredients with the food and drinks, it’s just a great place for people to chill and feel comfortable,” said Cole. Valentine’s Day decorations. Source: Reaghan Lesh. Jo’s Java has specialty drinks for holiday seasons, particularly in the fall and winter seasons. They include pumpkin, Chi, ginger bread, and eggnog flavored drinks. Not only does it add some different and new flavors to the menu, but it brings in more of the holiday seasons together. Especially helping with the cold winters we have had! 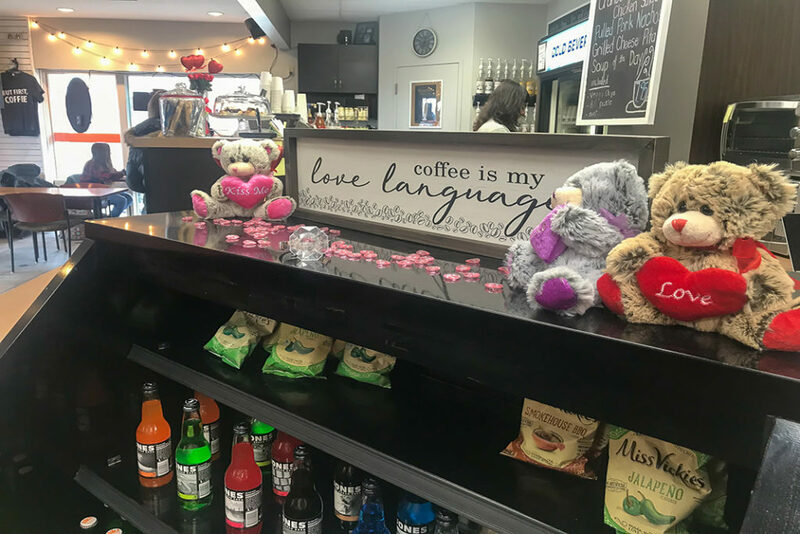 An upcoming drink specialty for Valentine’s day is a delicious White Mocha with raspberry, don’t worry about finding a present for your special valentine, because Jo’s Java has you covered! This coffee shop also has student friendly prices starting at $2 for drinks and a delicious variety of muffins and lunch specials! Students can also check out their frequent drink cards they have. This place is designed for students to just take time to wind down and relax. As students and faculty walk to their classes, sometimes being outside isn’t always a pleasure. Having a nice warm brew of coffee will help with surviving these super cold temperatures. Even in the summer and fall, when the weather is warm and sunny, Jo’s Java has a variety of different Iced coffee flavors and healthy fruit smoothies to nourish your body. 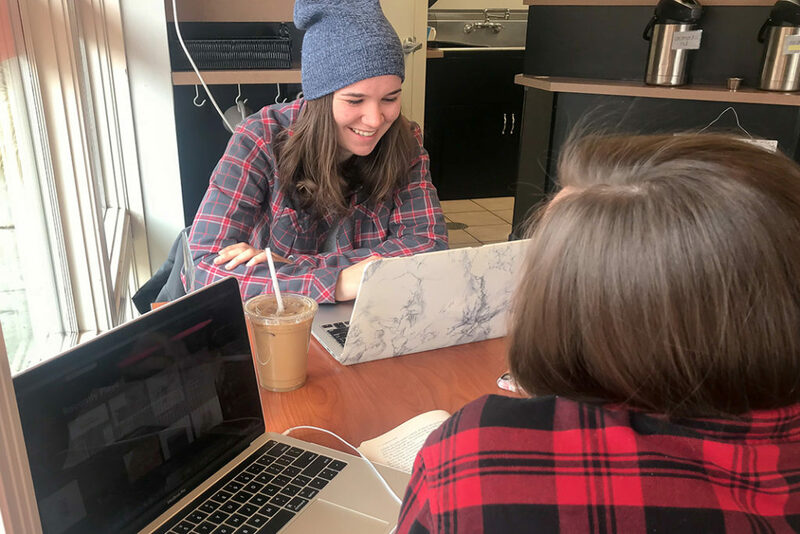 Students, Marjory Coates and Sam Siefken, studying at Jo’s while enjoying some coffee. Source: Reaghan Lesh. Jo’s Java has an amazing warm atmosphere for students and faculty to just sit down, drink coffee and catch up on life. Whether that’s studying for an exam, or to “Take time to smell the coffee”. Give Jo’s a visit! 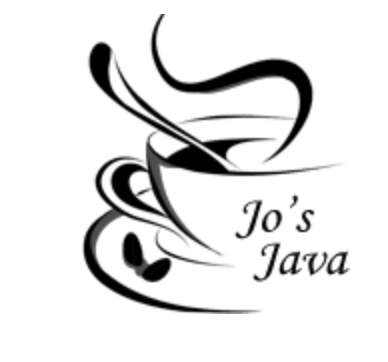 You can follow Jo’s Java on Twitter, Facebook, and Instagram @josjava for additional information.